Hey everyone. New to me boat owner here. Just picked this 10 footer up for $500. 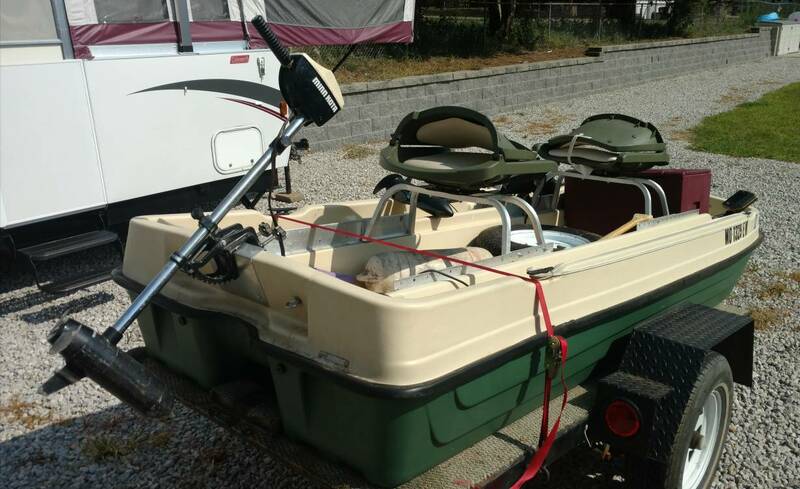 Boat, tilt trailer, two trollers, Hummingbird 200DX finder, livewell and four new life vests. 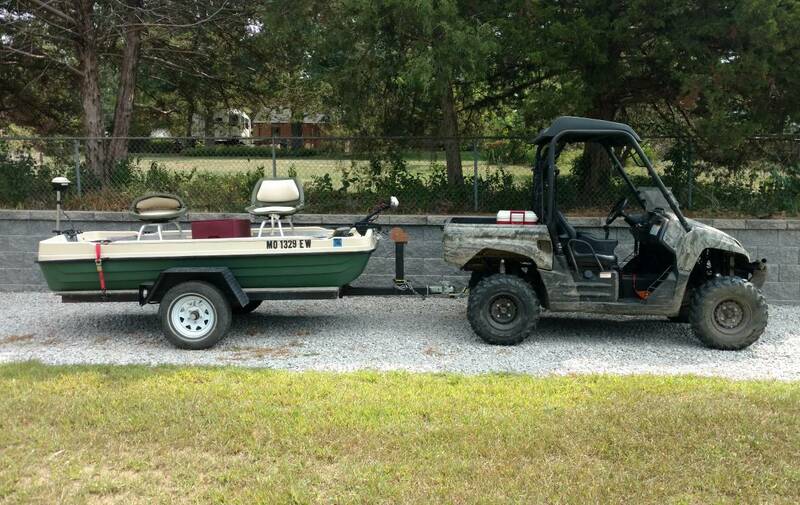 Can't wait to get it out and catch some fish. 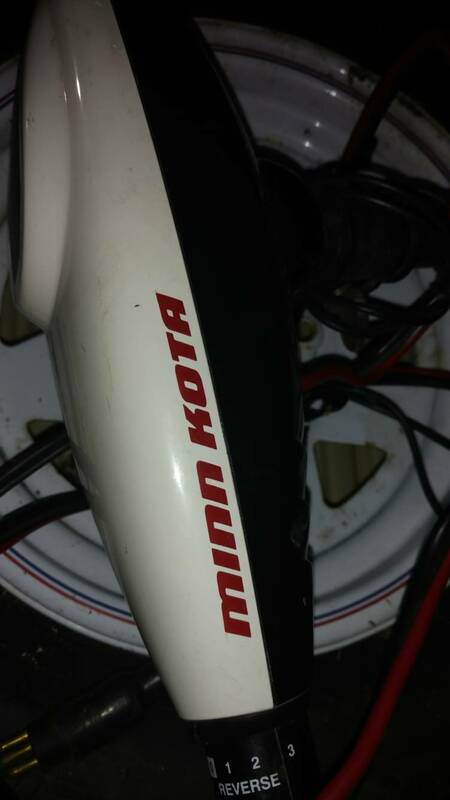 Still can't figure out the manufacturer of it. How bout some tips or receive mmended mods from those of you that have similar? I think Pelican and Sun Dolphin are the two most common makers of that boat. That rig would cost ya 3 times as much in my neck of the woods, if not more. Same here. I just happened to look at Facebook market and the guy had just posted it and was looking for a trade or something. I messaged him and asked if he had a cash value he's looking for. He said $600 and I threw him $500 for the hell of it and he said "when can you get it?" We were about to head to a wedding so I swung by his house, did a quick look and gave him the money for exchange of titles and bill of sale. Came back at almost midnight and took it home. It was up for sale for about 15 minutes. 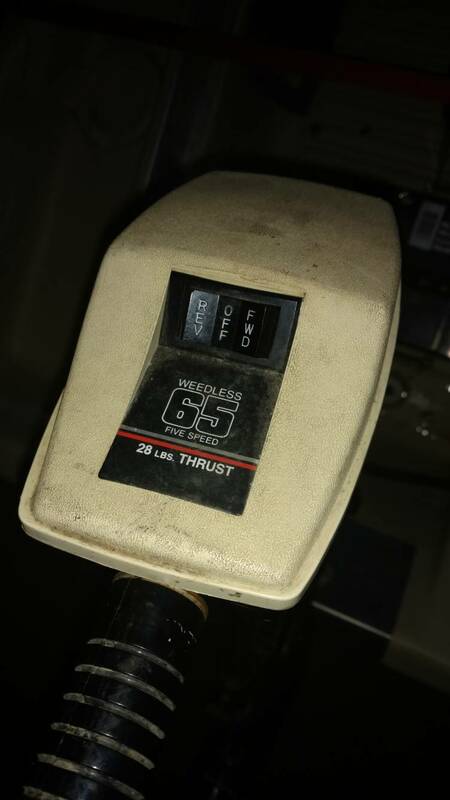 I licensed it today and ordered a Group 31 DC battery from my distributor that will be here in the morning. Hopefully I go fishing tomorrow if all works out. That's an old sun dolphin, my buddy has one. They are fairly decent and stable, just be careful around rocks and such, the plastic isnt very thick or durable. Congrats on your purchase!! That little boat will get you into some very nice hard to reach places. Welcome to UB!! Good deal! Heck the trailer and boat are each worth that around here. You got a deal! I ordered some stake sides to put on it and will add some railings. Figure it's a great trailer for other things as well. All steel bottom. 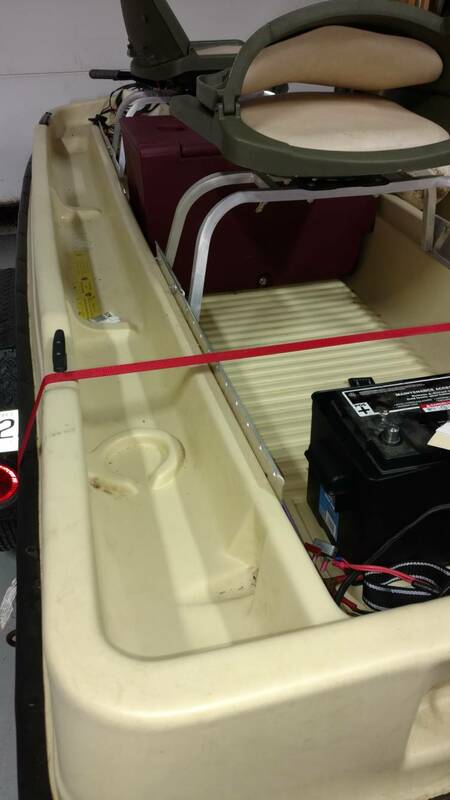 They just added plywood with carpet to it for the boat. I can throw a 4wheeler or something on it if needed. Pull a pin and the whole trailer tilts. Congrats! I was just looking at those yesterday on Dicks website. Have a neighbor with the same boat. He's only taken it out once and I was with him. The two of us easily total 400 lbs and it did very good. He has a 36lb Minn Kota for it and it pulled us around great. 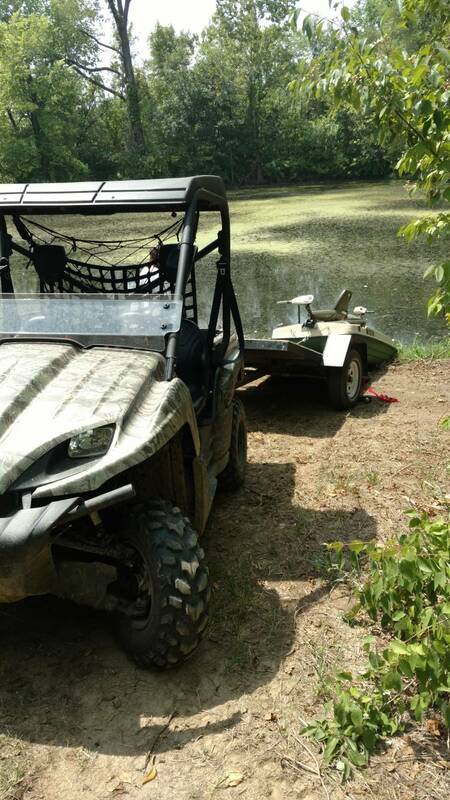 That rig is great for TM only lakes/ponds and I wouldn't hesitate to launch it in the creeks and back waters of lakes. You'll be able to find fish in that thing that no one else can get to. Welcome to Ultimate Bass and be sure to check out them links I sent you in your welcome PM. 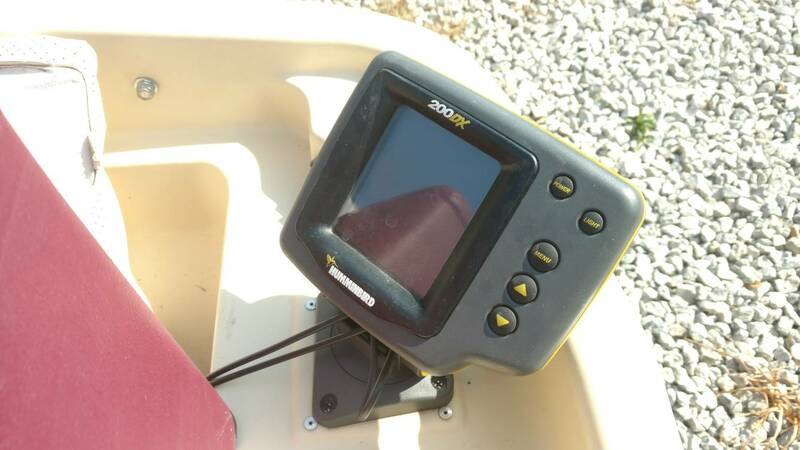 That will make a nice little pond and small water boat and will be looking for some reports after you get it out fishing . 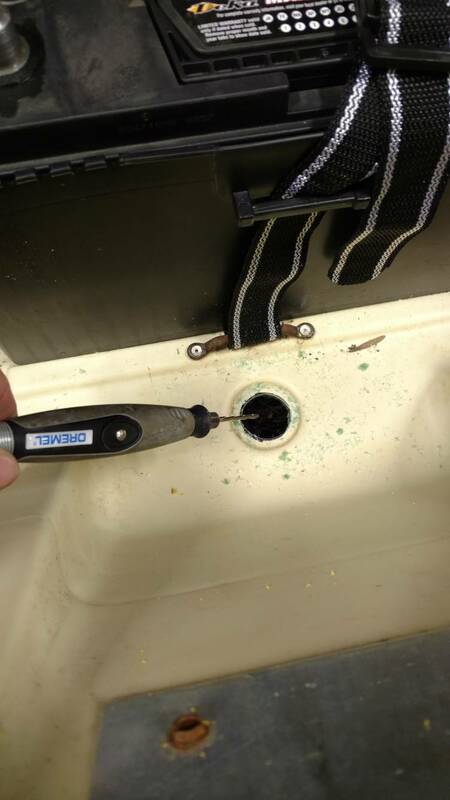 You guys that've owned a boat like this would know better than I, wouldn't it be pretty dang easy to patch if it does get damaged and spring a leak? Of course, with the extent of the damage taken into consideration. I've spent many summer afternoons in one myself when I was a kid. 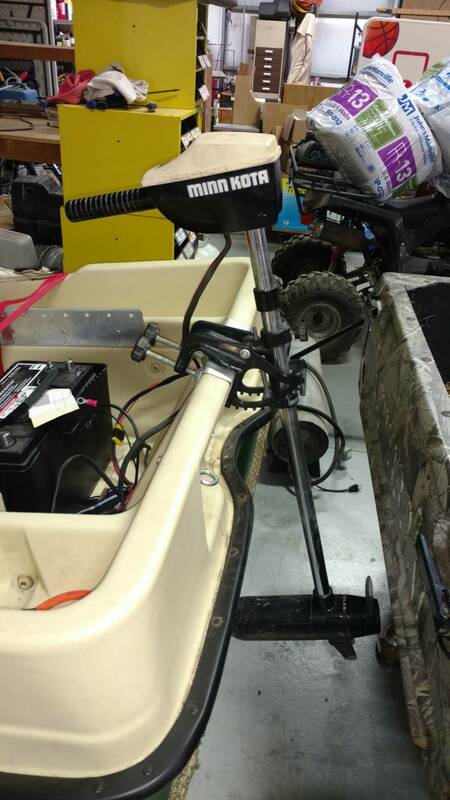 My papaw had one with a TM and around a 6 acre pond. I didn't even fish much from it, just scooted around in it pretending I was a pirate. Even had a Jolly Roger flag and an eyepatch. Very nice- you ought to have a ball with that critter. Post pics when you do. I fished out of a little 10 footer (not the same boat) for a few years and loved it. Congrats on your purchase. First thing I've done tonight was flipped the head around on the rear trolling motor. 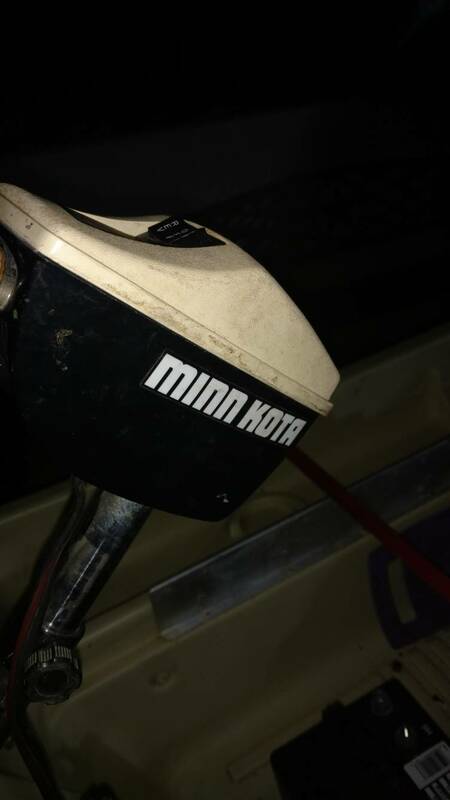 It's an older Minn Kota Weedless 65 28lb thrust. This combined with the front one should make it scoot pretty good. 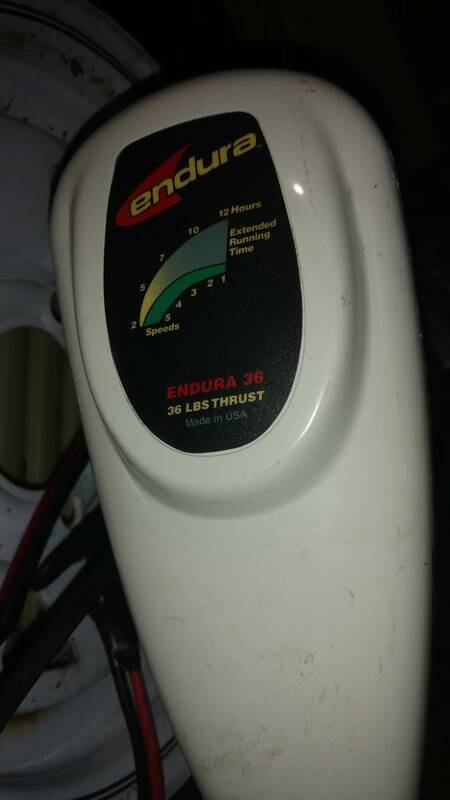 The front is a Minn Kota Endura 36 with a Big Foot. I picked up from my distributor a Deka DC31DT battery for them. I've already decided that I'm going to build a deck in this thing with storage doors, compartments and different pedestal mount seats. The nice thing about this model boat is the deep side channels on it. I can section them off for molultiple rod storage and whatever else. 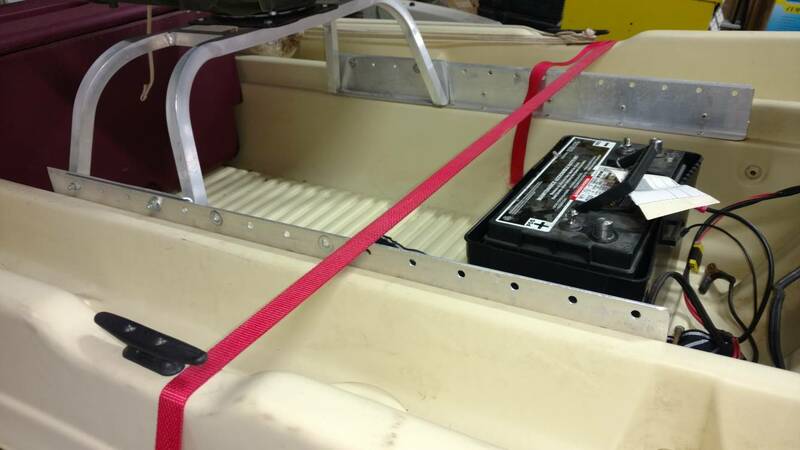 The seat mounts that are riveted into it will help with fastening the deck down as well. I own a car audio business so naturally this will get some audio treatment with some speakers and a Bluetooth player of course. I'm excited to see what I can do with it. 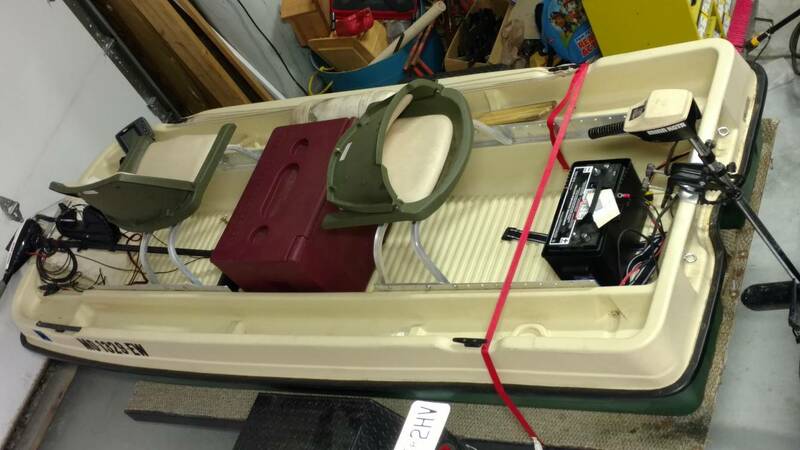 I've been up late several nights hitting YouTube and other forums for how people have modified or changed these boats to their needs. That thing looks to be in amazing shape. Until you go all subs and Woofers on it! Assuming you build speaker boxes in the car audio business, the project you're talking about should be a cakewalk! You gonna go ahead and fish it and wait till winter, or go ahead and jump right into that? I built a deck and compartments for a buddy's jon boat years back so I'll just follow the same format with this. First I want to have it out a few times and get a feel for it. How low it sits, how much weight it can carry. I want to get another 200 lbs person in it and see what I'm working with. Well where you at? Cause I got about 250# plus gear I can bring. First small outing and learning session. Well my cousin called me this morning and asked for me to bring the boat over so we could see how deep the pond is behind his house. He's just a few blocks down the road so I hooked it up to my Teryx and hit the street. He had already cleared a trail through the woods so I could drive down to the pond and launch. The water is pretty low so there was kind of a drop on the bank but not too much of a problem going in. I got the boat in the water and shoved off using a paddle. I'm taking mental notes the whole time of what would make future launches better. I'm thinking I'll put one of my 12 foot aluminum telescoping painters handles in the boat for next time. Anyways I get shoved off and realize I'm taking on some water in the back. 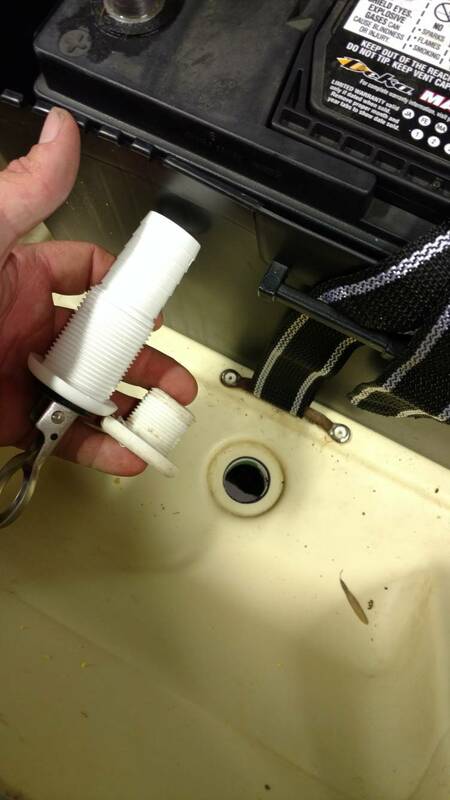 Totally spaced on the fact that there's no plug in the small drain hole in front if the rear transom. Although it's in between the two pontoons it was still getting wet so I decided to turn around and row back to the bank. Better safe than sorry. 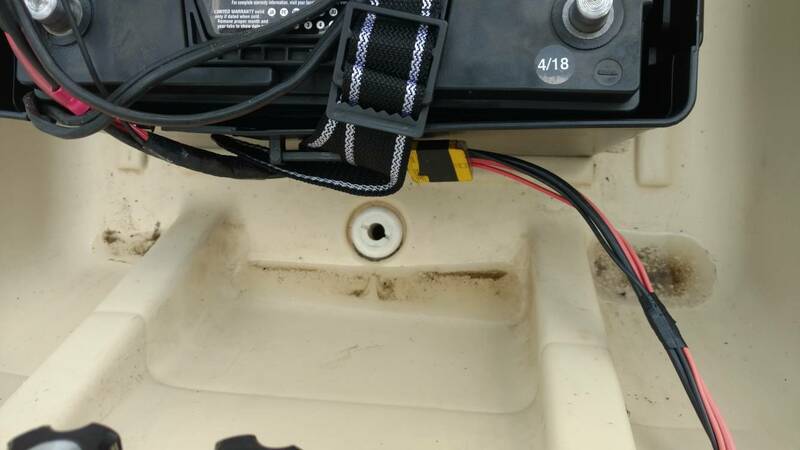 I have to pretty much crank the boat up a steep bank which had me worried the whole time thinking "how good is this rope on the boat trailers winch?" 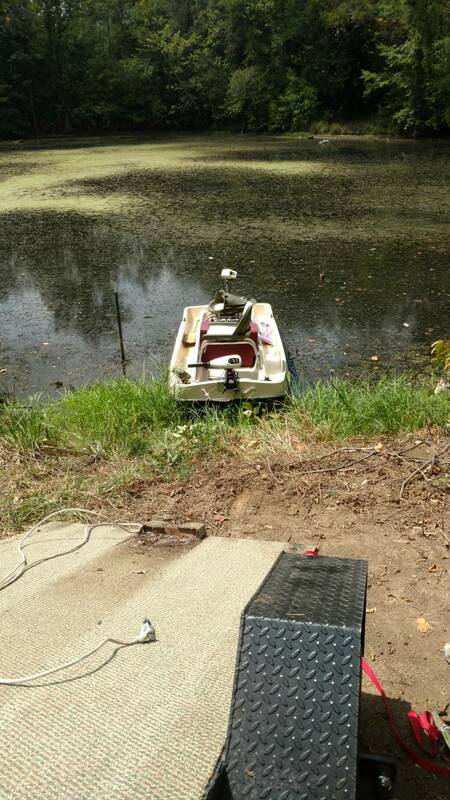 I was scared with the tension needed to crank this boat up the bank I was going to snap and get me! So I learned a few things with this new to me boat. 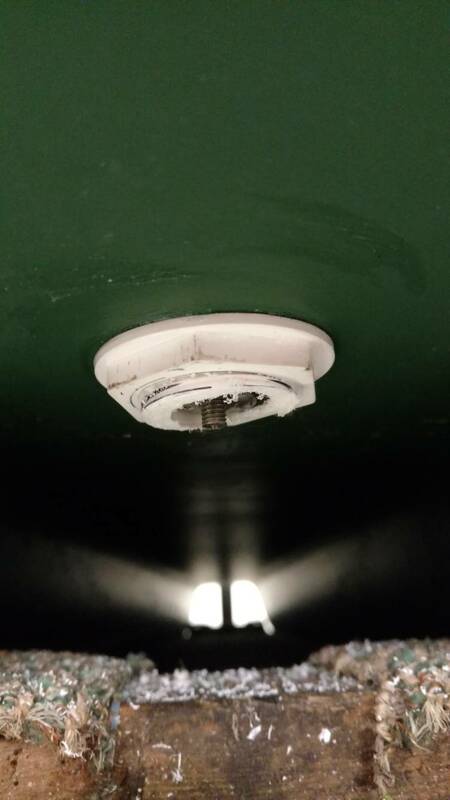 The original drain hole was a 1/2 inch and Bass Pro didn't have anything that looked like a good enough plug so I opted to just replace the whole thing with a 1 inch version that would be much easier to find plugs for. 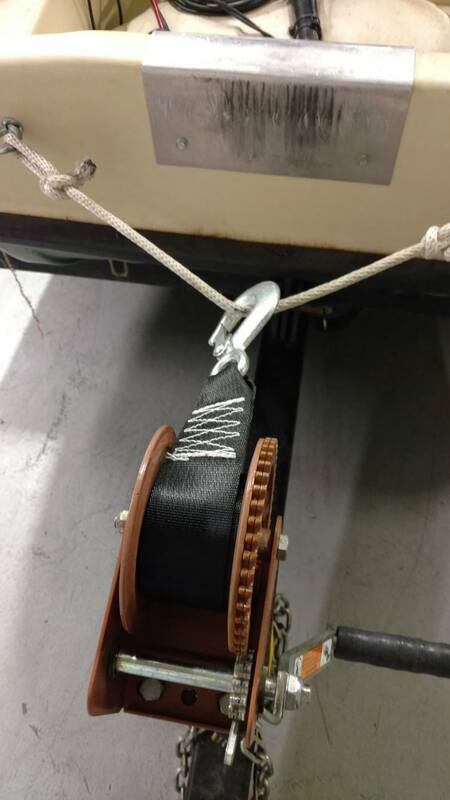 I also got a 16 foot winch strap to replace that rope so no more worries there. 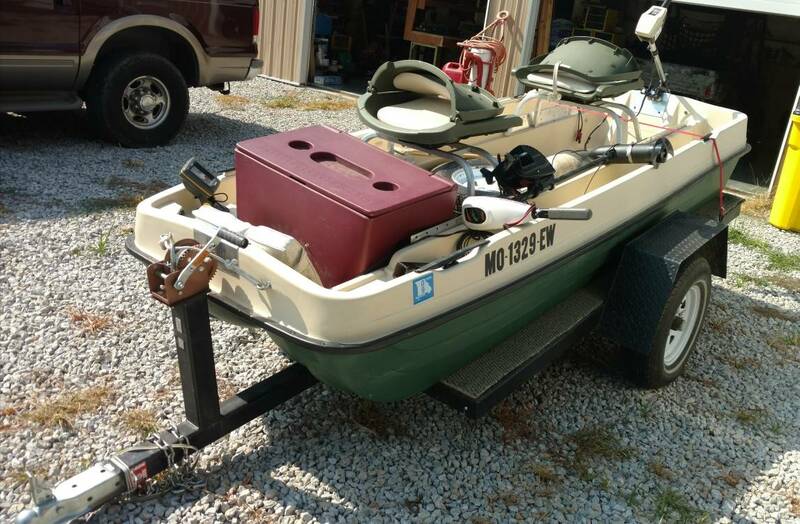 I plan on taking it out tomorrow morning to a local small lake with my 12yr old son and actually enjoy this boat. Sounds like an educational day. 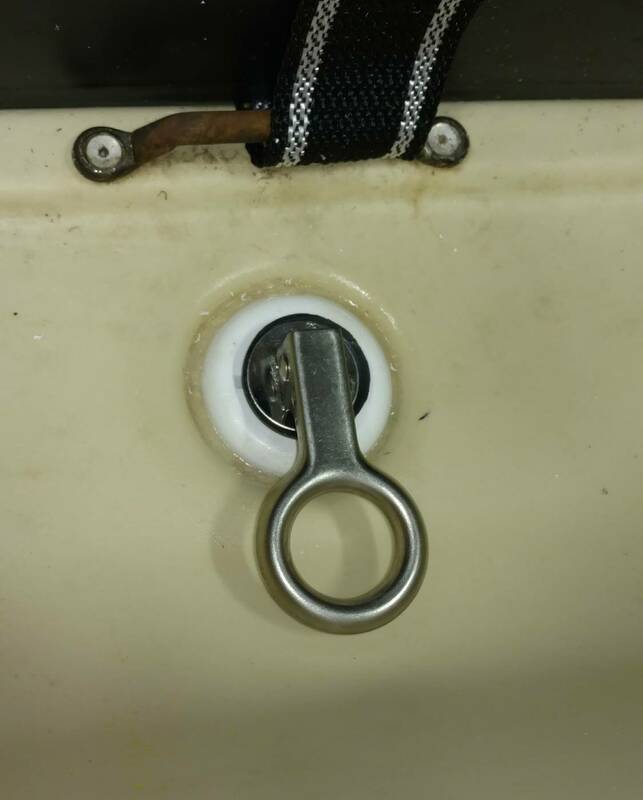 Even that little thing opens up so much water for you. Oh I'm loving it. There's a bunch of small lakes and ponds around me. I've had it out four times already and it's been a blast.